Aborted has been around for over twenty years, their career is one of the most solid and brutal in the worldwide scene, backing them up eight full lengths, three splits and three previous extended plays, being "Termination Redux" their fourth EP released to date, always with their unrestrained grindcore savagery and meticulously crafted technical death metal, this record includes five tracks, a short intro, three unreleased tracks and a reinvented and extended version of their classic "The Holocaust Incarnate" it’s included in their second full length "Engineering the Dead" from 2001. "Termination Redux" it works as a showcase for their upcoming new release "Retrogore" which is set to be released next April 22, 2016 under Century Media Records and believe me this is more than a simple EP, all the tracks you can hear here, only one will make it to be included in their ninth album. "Liberate Me Ex Inferis" a brief intro which last about half minute and unleash all their fury in "Termination Redux" rapid and repulsive riff strikes merciless, the drums are handled in a dynamic pattern with a varied paced from blast beat to grinder and chaotic sections, the menacing vocals are aggressive, outstanding guitar work amidst the track, followed by "Vestal Disfigurement Upon the Sacred Chantry" continuous the savagery created in the previous track, "Bound in Acrimony" blend some death thrash riffage with some breakdowns that make this track enjoyable, in last but not least is "The Holocaust Re-Incarnate" has a fresh approach with a modern production this version keeps their twist and turns from blasting parts going through grooving sections, this is a must hear track. 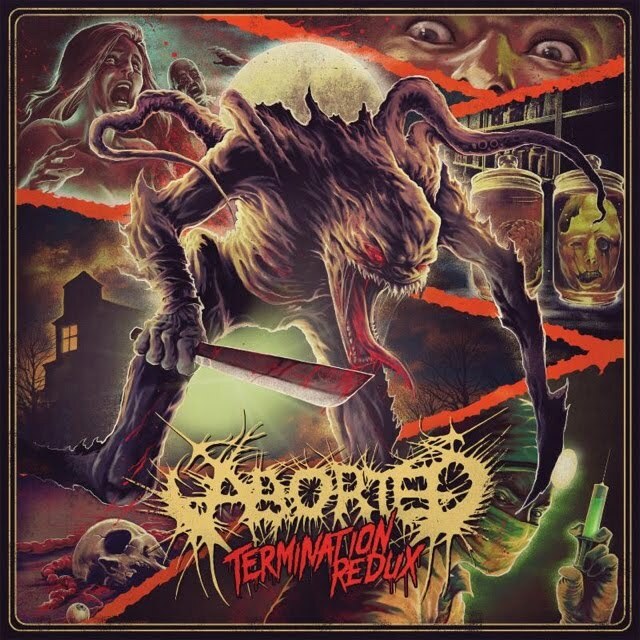 Definitely, Aborted delivers a heavy, fast and relentless piece, which turns in a great achievement for the band, if your likes are Suffocation, Cattle Decapitation or Misery Index, then this EP should be in your playlist.